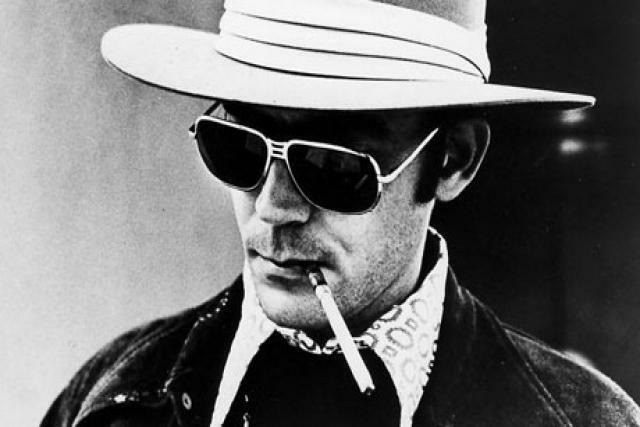 Gonzo journalist – the inventor of Gonzo journalism, no less – anti-Nixon political commentator, NRA member, booze and drug advocate, and the man whose corpse got blasted out of a rocket: we all know something about Hunter S. Thompson. Here, then, in honour of one of our favourite free-wheeling, experimental, opinionated and, well, unusual writers, are a few less well known passions, which wonderfully showcase his eccentric genius. In keeping with the late lunch, Hunter wrote through the night, fuelled by booze, coffee, grapefruit, and cigarettes, not to mention the R-rated movies. He wrote from midnight through to six am before retiring to the hot-tub with champagne and fettuccini. So if you’re ever stuck figuring out your manuscript, try slipping around your schedule and slipping into the bath at dawn! We might remember him for his books and journalism, but Thompson was also a keen photographer, even if an amateur one. Since his death in 2005, his photos have gone on tour and have appeared in print in a book called, fairly predictably, Gonzo; they were documentary-style shots related to his non-fiction writings, self-portraits and still lifes, an ‘astonishingly good’ record of the sixties, according to the UK’s Observer newspaper, and just as worth checking out as his writing.